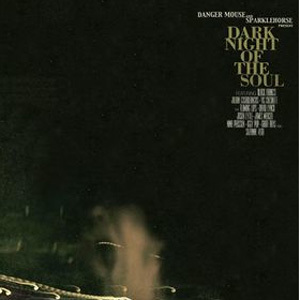 Recorded in 2009 as part of a multimedia project devised by Danger Mouse, Sparklehorse (née Mark Linkous) and filmmaker David Lynch, Dark Night of the Soul was shelved for more than a year as EMI and Danger Mouse proprietor Brian Burton resolved legal differences that still haven’t been fully disclosed. The controversy nearly obscured the resounding triumph of the album itself; written and produced by Burton and Linkous, it’s a breathtaking set of atmospheric ballads (plus a few rockers) that explore cosmic concerns, from the self-destructive trap of revenge to the possibility of spiritual renewal. Danger Mouse’s spooky signature sound—a mix of shimmering keyboards, fuzzy echo and squiggly ambient noises—provides a mesmerizing backdrop for guest vocalists including Iggy Pop (the roaring “Pain”), the Shins’ James Mercer (the Beatlesque “Insane Lullaby”) and Lynch (the creepy title track), among others. A somber fog has always swathed the album; following the recent deaths of Linkous and contributor Vic Chesnutt, the melancholy is nearly unbearable.